I didn’t grow up planning that I would become a communication & organizational professional. I had other plans. But by high school I realized I had a set of skills for effective communication, relationship building & strategic organization. I saw opportunities that others didn’t, like how an event can be an incredibly useful tool to communicate or how important it is to take a simple message and convey it in multiple different ways. In college, I drove my roommate crazy by critiquing every tv ad and billboard I saw until she’d had enough and suggested I work in marketing. I switched to human communication with an emphasis in public relations and found my calling. Over the past ten years we have worked with small businesses, medium businesses, large corporations, towns and cities, special districts, political leaders and they all have one thing in common; they all need to communicate effectively to succeed. But before effective communication can occur, a program or organization needs to be proactive and strategic. This is where I found Tallent Co.’s niche. We have the necessary skills to effectively market and communicate who an organization is to a potential or current consumer AND we are also able to see programs or projects from a bird’s eye view to see what needs to be fixed before communication occurs. Sometimes these are simple adjustments and sometimes they are large. I invite you to learn more about all the ways we can help you and your organization by visiting our services page. It’s important for you to know right away that Tallent Co. doesn’t take on every prospective client. We must know that we can help you and have the gut instinct that we can make a difference in your organization. We believe in working with organizations that pride themselves on transparency, honesty and openness to change. I thank you for the time you are spending today on TallentCo.com and I would love to introduce you to the rest of the team. Click the links below to learn more about us or fill out our contact form and we will be in touch soon. 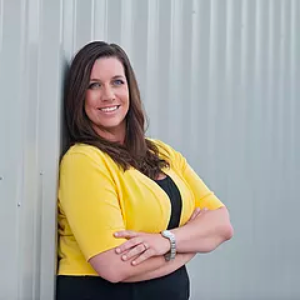 With a passion for communication and business, Amy Tallent uses her background and skills to help companies, government agencies and organizations achieve their goals. Amy has a bachelor’s degree in Human Communication with an emphasis in Public Relations from the University of Northern Colorado (Go Bears!) and over ten years of experience in communication as a public information officer, event management, and organizational structure planning. She spent 5 years with a local fire district focusing on public information during emergency incidents and holds the title and certifications of Public Information Officer. Amy is also a Councilwoman for the Town of Johnstown, Colorado and volunteers with a number of groups within the Front Range including chambers of commerce and nonprofits. Outside of Tallent Co. Amy enjoys spending time at home with her amazing husband and three kids. Amy graduates UNC with a bachelor’s degree in human communication. Amy returns to her hometown and begins working for the Erie Chamber of Commerce where she sees the struggle of communication from small business owners to their desired audience. Amy launches The Invisible Secretary, an on call administrative assistant company geared towards serving small businesses. With the Invisible Secretary, she focused on marketing services and discovered a need for strong communication from small businesses. Amy is hired as a Public Education Assistant for Mountain View Fire Rescue and within one year is moved up to Community Outreach Coordinator then to Public Relations Director. Amy completes her Public Information Officer Training and finds her love for helping government entities balance PR & PIO. Amy along with her colleagues were awarded the Fire & Life Safety Program of the Year Award for the Barnyard Safety Buddies from the Fire & Life Safety Educators of Colorado. Amy & Jesse re-brand the Invisible Secretary as The Tallent Company and within a few months have a full client list ranging from government organizations to private businesses and non-profit groups. Amy is awarded Ambassador of the Year from Erie Chamber of Commerce. Amy is appointed to Town of Johnstown Council as the first councilwoman in twenty years. In the following April, she is elected to the council to serve for four years. Since Tallent Co’s inception, they have helped hundreds of businesses, nonprofits, and government agencies make their mark!